Lately I have posted some tasty recipes here on Geek Alabama. So for this post I thought it was time for a change of pace. 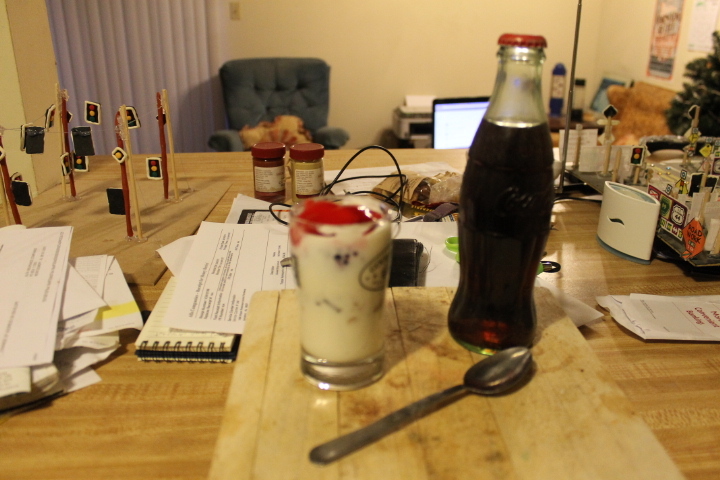 Why not make your own Yogurt Parfait. 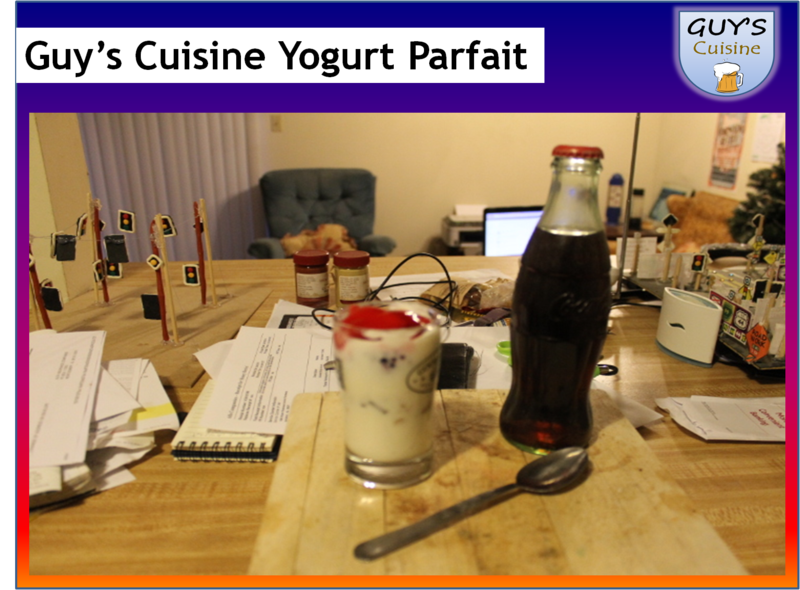 Doing a parfait is not hard to do and it’s very simple! Here’s what you need. 1. Using a small glass. 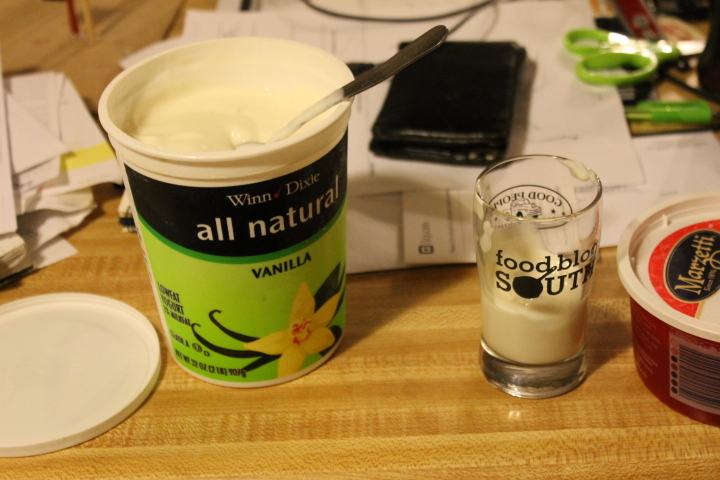 Layer the bottom of the glass with vanilla yogurt. 2. 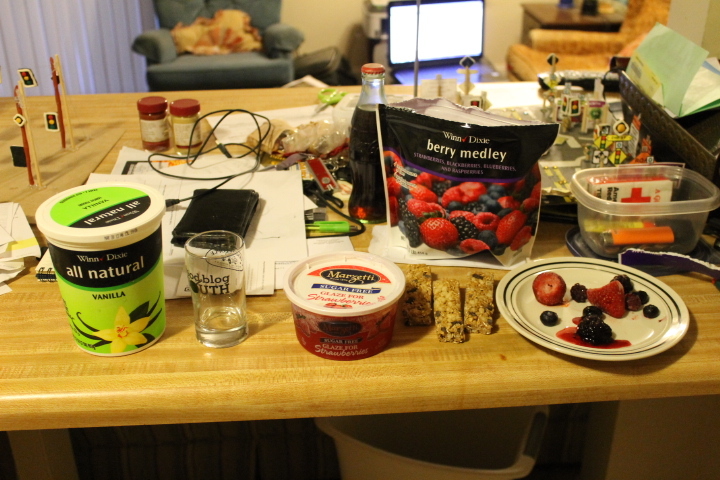 Crumble the Chocolate Chip Granola Bar and add-on top of the yogurt. 3. 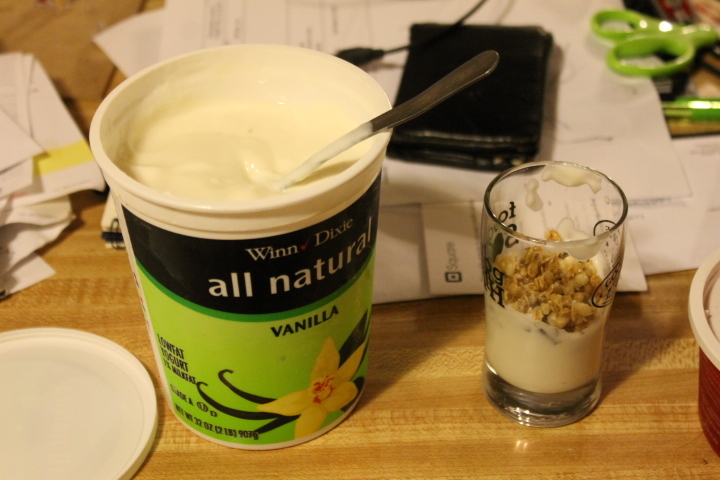 Add more vanilla yogurt on top of the crumbled granola. 4. 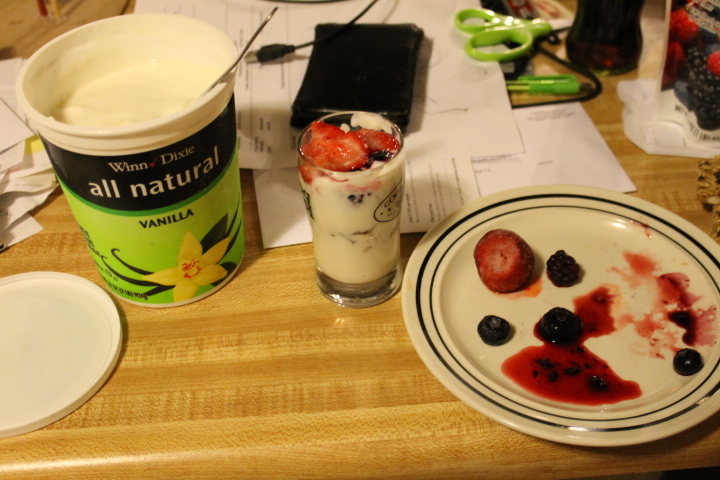 Add fruit on top of the yogurt. I used frozen berries and that had to be defrosted before adding! You can add any fruit you want! 5. 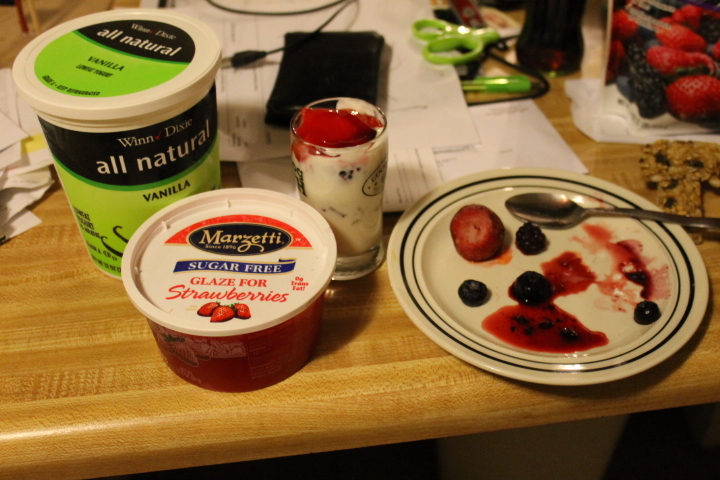 Add the strawberry glaze on top of the parfait. There you have it! This parfait is healthier than what you would get at a fast-food joint. And this is a parfait that will not break the bank! Enjoy!